The Chevron University Partnership Program (UPP) is a global assemblage developed in conjunction with leading universities around the world to establish new programs, support faculty development, and provide student scholarships. The collaboration extends to new competencies required as research and technology development explores innovative ways of tackling critical energy challenges. Universities are selected based on their excellent reputation, forward thinking, and result-oriented education program. USC offers Master’s and Doctoral programs in these exciting areas. 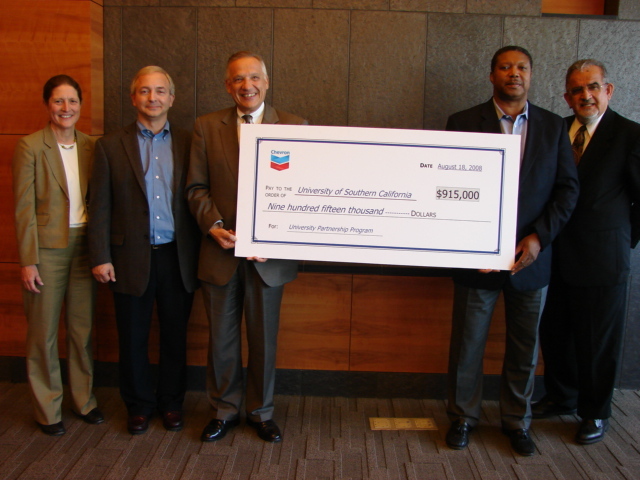 Recipients of the UPP scholarships will have continual involvement with Chevron, including opportunities for possible future internships and employment.